The conference venue is the University of Warwick, with most of the conference programme taking place around the Arts Centre on the main campus, which is part of the Conference Park. The closest station to the campus is Coventry (not Warwick) which has good taxi and bus services to the campus. Further information about travel to the venue, inlcuding a link to an interactive campus map, is available at: http://go.alt.ac.uk/2bkqcj9. Please note: Anyone wishing to park on campus will need to register and download a permit from http://go.alt.ac.uk/29OVb6j. The permit is free but will need to be printed in advance and displayed in the windscreen of the vehicle. Upon arrival please use the conference car parks numbered 7, 8a, 8, 10 and 15 indicated on the interactive campus map. If you have booked on campus accommodation you can check in from 15.00 on the day of arrival. Please go to the Conference Park Reception in the Students Union Building to check in and collect your room key. Luggage can be stored in the cloakroom prior to check in. Check out is required by 09.30 on the day of departure. Breakfast for those staying in onsite accommodation is served from 07.30 to 09.00 in Rootes Restaurant. Refreshments are also available for all in the exhibition area each morning before the keynote. A cloakroom and luggage store is available at Conference Park Reception in the Students Union Building and will be staffed from 07.00 to 23.00. Early registration will be open from 17.00 – 19.30 on Monday 5 September in the exhibition hall. Participants who will be arriving for early registration are encouraged to head to the Fusion bar on the first floor of the Rootes Building from 19.30 for an informal meet up with other participants. The Arts Centre Cafe Bar will be serving food until 21.00. The Dirty Duck Pub in the Students Union Building serves food until 21.00. The Registration Desk is located within the exhibition area in Warwick Arts Centre and will be open from 09.00 to 17.00 on Tuesday and Wednesday, and between 09.00 and 10.30 on Thursday. During registration you will be provided with a conference badge and Pocket Guide. It is important that you wear your badge throughout the conference (you are liable to be challenged by conference helpers, University staff, or ALT personnel if you do not wear it). If you are staying on campus, you can use the University of Warwick gym, swimming pool and sauna for free during your stay – just take along a room key as identification. Find out what’s available and opening times at http://go.alt.ac.uk/2bU7ShR. Or why not team up with other participants for an early morning runs, walks or cycle ride? There are designated routes for different distances, starting with a 3km route around the campus: http://go.alt.ac.uk/2bnsEK4. Breakfast for those staying in onsite accommodation is served from 07.30 to 09.00 in Rootes Restaurant. A varied lunch menu will be served in the Exhibition Hall (please see the conference programme for lunch timings). Dinner on Tuesday night will be available in Rootes Restaurant at 19.00 for those who are staying in campus accommodation. The Gala Evening on Wednesday night will commence with a drinks reception at 18.15 in the Exhibition Hall, followed by dinner in the Panorama Suite at 19.30. Special dietary requirements have been catered for according to the information given by delegates when booking to attend the conference. Please make yourself known to the serving staff if you have requested a special diet. In the scheduled breaks tea, coffee, juice, water and biscuits will be available in the Exhibition Hall. Warwick University is fully accessible by wheelchair users. If you have not previously notified us of any mobility, sensory, or access requirements, please contact a member of the conference team as soon as possible. As with previous years the conference will be supported by a dedicated website which allows you to plan the sessions you’d like to attend and connect with other participants. The platform is publically accessible but if you would like to enable additional features, you need to sign in. For more guidance on using the platform visit: https://altc.alt.ac.uk/2016/help/ and if you get really stuck you can also email us at helpdesk@alt.ac.uk or go to the conference helpdesk in person. This year you can build your personalised programme online via the dedicated conference platform and a summary of the timetable is also available in various formats for print and screen. Browse the programme at: https://altc.alt.ac.uk/2016/programme. For more details on each of our speakers see: http://go.alt.ac.uk/2c0WUuf. If you will be presenting or chairing a session at the conference you can find detailed guidance at http://go.alt.ac.uk/2boat1K. If you or your colleagues aren’t able to make it for all of this year’s Annual Conference a number of sessions including keynotes, invited speakers and the AGM will be livestreamed via YouTube and available for on demand playback. Streamed sessions are indicated on the conference programme and viewable on the conference site or on the ALT YouTube Channel: go.alt.ac.uk/2016-altc-live. The conference helpdesk phone number, for use from 2pm Monday 5 September onwards, is 024 765 22589. Email helpdesk@alt.ac.uk. Throughout the conference you can visit our stand to find out more about the Association, join as a member and pick up publications and other information. As part of the conference programme we have scheduled sessions led by members to showcase their activities including the work of Special Interest Groups. These have been labelled ‘Community-led’ sessions on the programme. If you are new to the conference, we will be welcoming all first-time attendees at the ALT stand in the exhibition area at 11.00 on Tuesday and 09.00 on Wednesday. 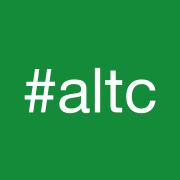 This year there will be #altc #play interactions throughout the conference – keep an eye on the twitter stream! 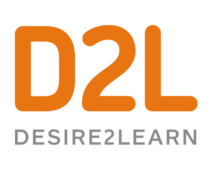 There will be a number of opportunities for you to takeaway playful ideas and resources for re-use in your own practice. To get you started there is a suggested activity at http://go.alt.ac.uk/2bkWK1R. If you also like collecting Open Badges you can start collecting these from http://go.alt.ac.uk/2bFrJ8d. Connect your device to the ‘Warwick Guest’ wireless network. 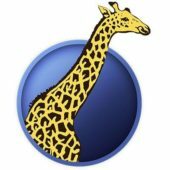 If the Warwick Guest gateway page does not open automatically then open a browser such as Explorer, Chrome or Safari and you should be re­directed. To register, click the link within the sentence ‘Click here to create an account’ and select ‘Attending a conference’. Please provide your details, including a valid mobile phone number, to which your generated guest login will be sent. Follow the web links to return to the Warwick Guest Wireless webpage and login. If you do not have a mobile phone, choose the option ‘Click here to register if you do not have a mobile phone’ at the bottom of the page to have your login details sent to your email address. Guests are able to connect up to three wireless devices to the internet and your account will be valid for one week. If your device does not redirect to the login page then try using a different browser such as Chrome or Firefox. If you lose your password you can re­-register at any time with the same phone number and email address. Your previous password will be over­written. Your devices will be logged out after 24 hours of inactivity and you will be required to login again. The account is valid for 7 days. If the fire alarm sounds, please evacuate the building immediately via the nearest exit. You will be directed to the specified fire assembly points by Warwick University staff. Do not re-enter the building until told to do so by University Security Staff. During the conference the first point of contact for any first aid emergency is the Conference Helpdesk. Delegates are requested to reduce the risk of theft by not leaving valuables unattended on University premises. Subject to statutory rights, neither ALT nor the University of Warwick will accept responsibility for accidents to delegates while on University property, or for damage to, or loss of, their personal property.